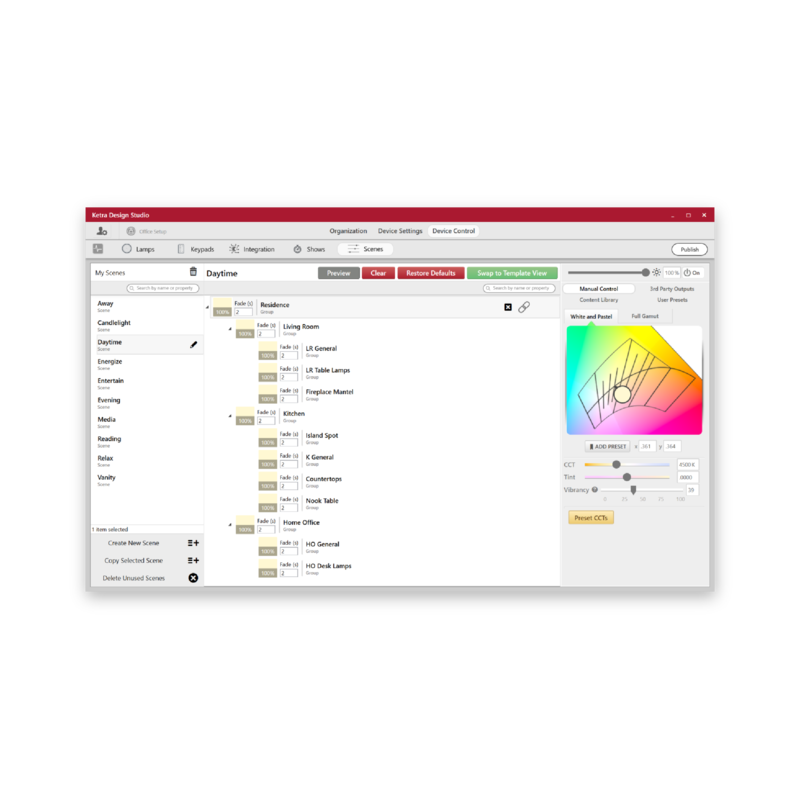 Ketra’s Design Studio software enables users to find, configure, and program lamps, luminaires and controls within the network. Design Studio is a technical software tool intended for use by qualified users. Please contact your sales professional for more information or contact Ketra Technical Support. Access an interactive version of our Design Studio 3.0 Manual here.